Looking for a unique basement floor? Yep, fall is just ahead and outdoor projects will cease over the colder months ahead. Time to turn our attention to interior updates and renos again! 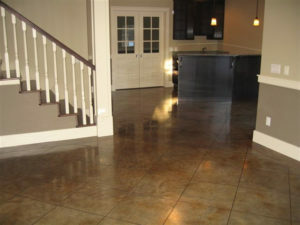 Are you thinking of giving your basement floor a little facelift? In our current real estate market one of the home improvements with the best return on investment is actually a finished basement. After all, a cozy basement can serve as the heart of any home – one of the rooms where most families spend a ton of their time. 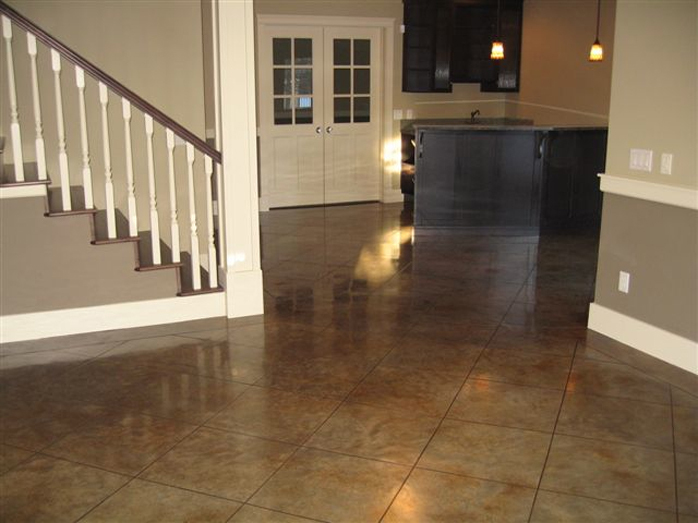 Remodels these days centre around the type of floor finishing you’re going to select for your basement. From luxury vinyl, tile and laminate, to carpet and engineered hardwood – such a variety of materials, hues, tones, and colours from which to choose! But wait a minute, don’t discount decorative concrete as an option. It’s such a unique & versatile material!